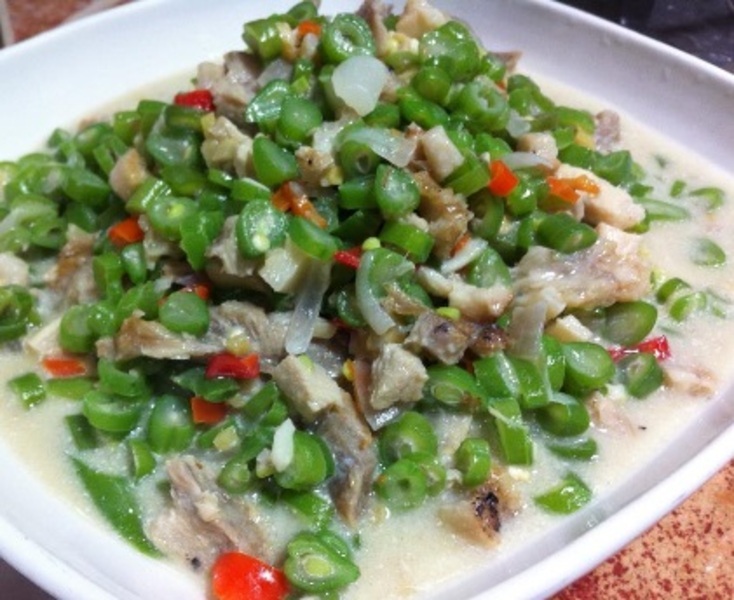 A spicy and tasty dish that everyone needs to try! In a saucepan, cook pork meat until color turns to light brown and start to render oil. Add garlic and onion then saute until translucent. Add shrimp paste and continue sauteing for a minute or until it’s cooked. Pour coconut milk, simmer for 15 minutes or until reduced and thick. 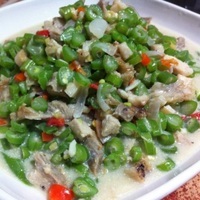 Pour coconut cream, green beans and chopped chili, cook for 3 minutes or until tender and crisp. Adjust seasoning with salt and pepper then transfer to serving plate then serve.